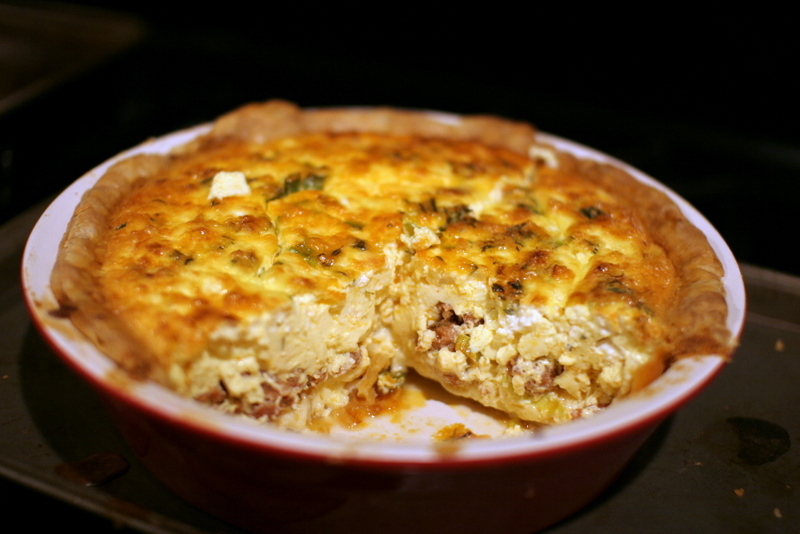 I have to say that I’m now a convert to quiche. 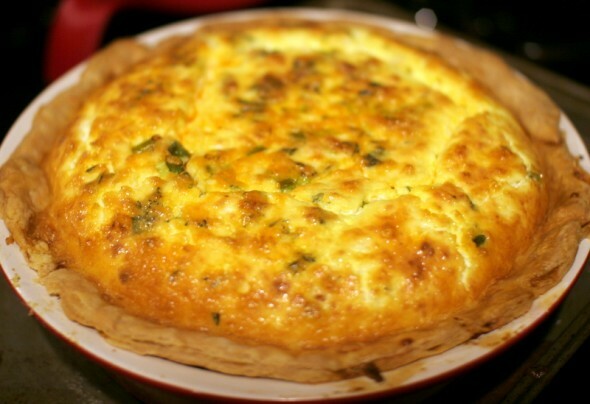 It’s not that I didn’t like quiche in the first place, it’s just that I really feel like eggs should be eaten for breakfast. This is my own personal desire for order in a chaotic world, so historically when Adam has suggested quiche for a weekend lunch I look at him like he just rearranged my closet or something. It’s. Just. Not. Done. I’ve been on this whole growing-as-a-person kick in 2013, so when I saw this Bobby Flay quiche recipe in an issue of Food Network Magazine a while back I thought I’d give it a try. It has jalapeno pesto, which instantly elevated the concept from breakfast for me. And I got to prance around the kitchen telling Adam about all the cotija I used. I somehow felt like more of a gourmet with that addition. 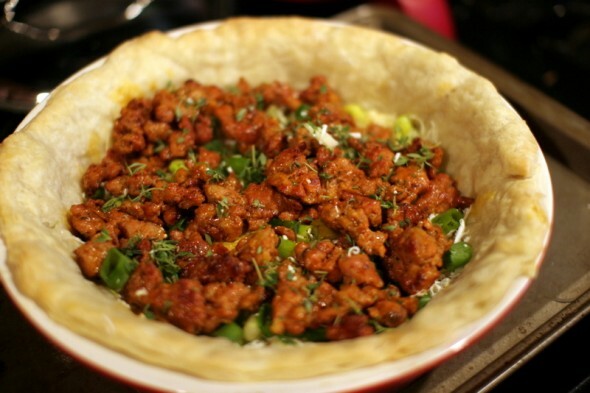 Incidentally, I put cotija in everything that week just so I could say it was there…fajitas, pancakes. Such a great word. Make the crust: Combine the flour and salt in a food processor and pulse a few times. 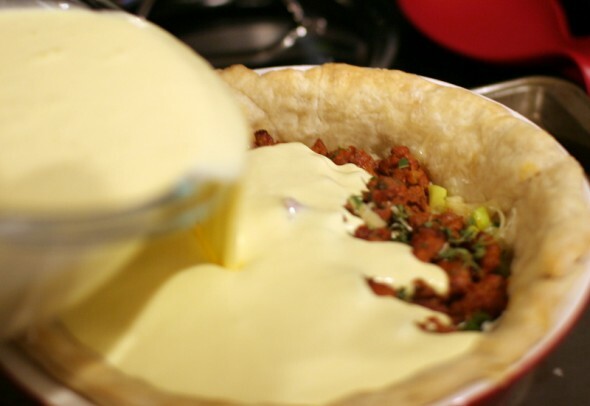 Scatter the butter and lard over the flour and pulse until the mixture forms large crumbs. Add 1/3 cup ice water a few tablespoons at a time, pulsing, until the dough just comes together. (Pulse in up to 2 more tablespoons ice water if the dough is too crumbly.) Flatten the dough into a disk, wrap in plastic wrap and refrigerate until chilled, at least 1 hour. 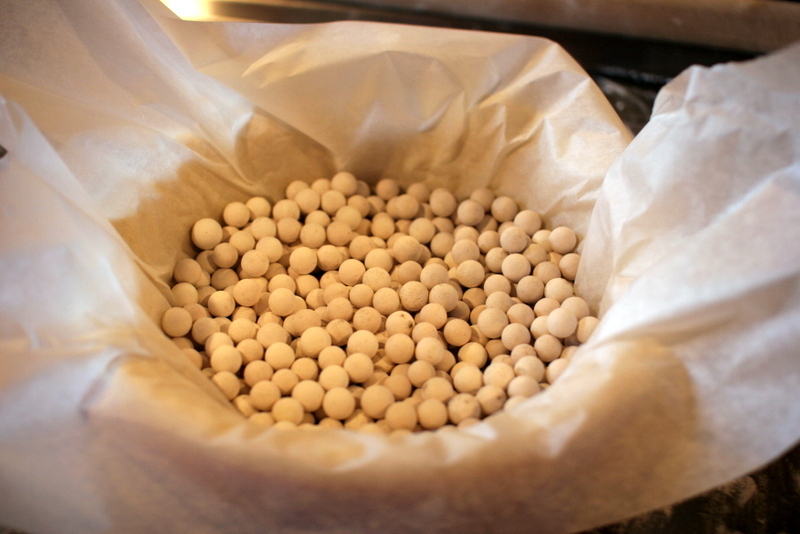 Transfer the dough to a lightly floured surface and roll out into a 12-inch round. 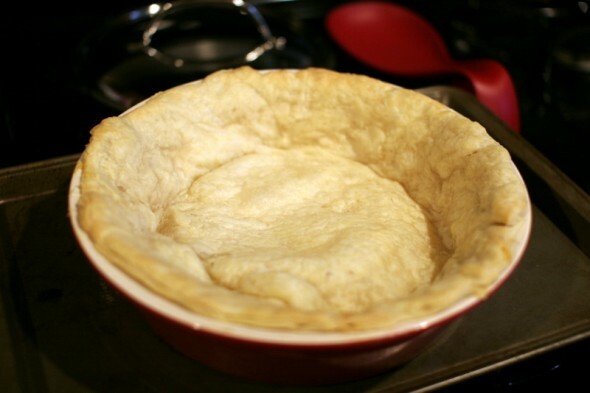 Fit the dough into a 10-inch deep-dish fluted tart pan with a removable bottom, gently pressing it into the sides; trim the excess dough. Cover with plastic wrap and chill until firm, about 20 minutes. Meanwhile, make the pesto: Preheat the broiler. Put the jalapenos on a baking sheet and broil, turning, until charred, about 5 minutes. Remove the stems and seeds. Pulse the jalapenos, cilantro, garlic, pine nuts and olive oil in a food processor until the mixture has a pesto-like consistency. Add the parmigiano, and salt and pepper to taste; pulse a few more times. Cover and refrigerate until ready to serve. 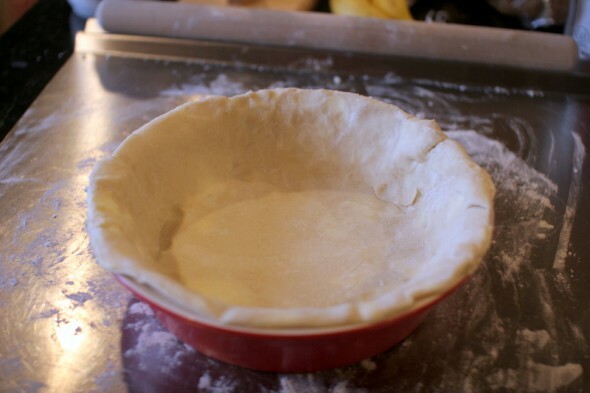 Preheat the oven to 375 degrees F. Put the tart pan on a baking sheet, line the dough with parchment paper and fill with pie weights or dried beans. 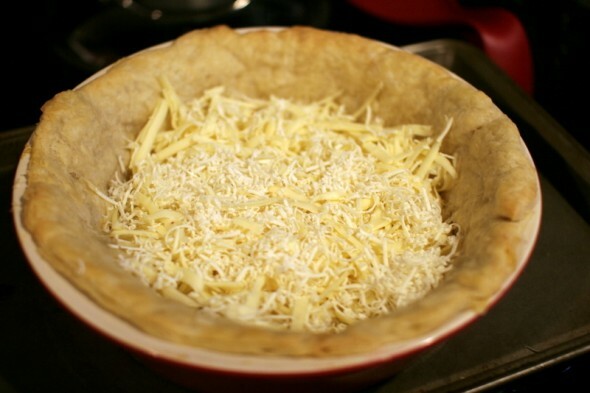 Bake until the edge is lightly golden, about 20 minutes. Remove the weights and parchment and bake until golden, about 20 more minutes. Let cool slightly on a rack. **A note here: I went to the Food Network website to find this recipe originally, and there are 2 versions of Bobby Flay’s recipe posted. One of them is just batsh*t crazy. The other is what was actually in the magazine. Guess which one I made the first time (and photographed)? It resulted in a giant inflated crust like this, which meant my fillings were full to brimming. I made this correctly on later tries, and it was perfect. And so was this one, after about 10 years of baking in the oven. Meanwhile, make the filling: Reduce the oven temperature to 350 degrees F. Put the goat cheese in the freezer for 10 minutes (this makes it easier to slice). Heat the canola oil in a large skillet over high heat until it begins to shimmer. Add the chorizo and break it into smaller pieces with a wooden spoon; cook until golden brown, about 5 minutes. Transfer to a paper towel-lined plate using a slotted spoon and let cool slightly. Slice the frozen goat cheese into 1/2-inch-thick rounds. Scatter the fontina, cotija, scallions, chorizo and thyme over the crust. 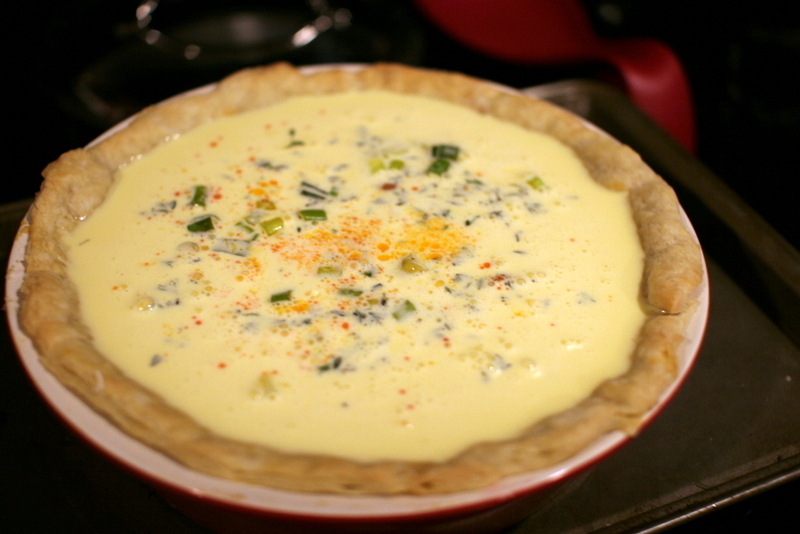 Whisk the eggs in a large bowl; add the milk and cream and whisk until smooth. 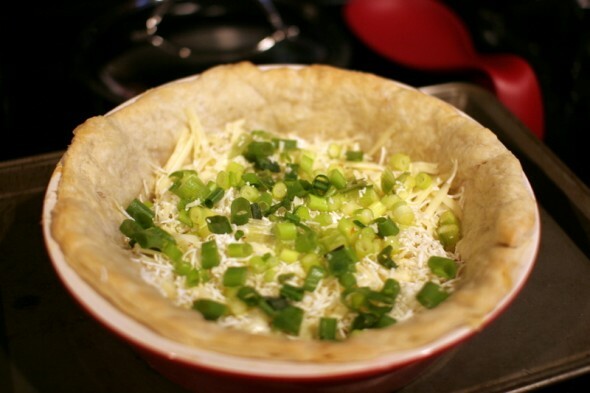 Pour into the crust and arrange the goat cheese evenly on top. Bake until the crust is deep golden brown and the edge is set but the center still jiggles slightly, 40 to 50 minutes. Let cool at least 20 minutes before serving. Cut into wedges and serve with the jalapeno pesto (of which I have zero photos, but trust me it was delicious).